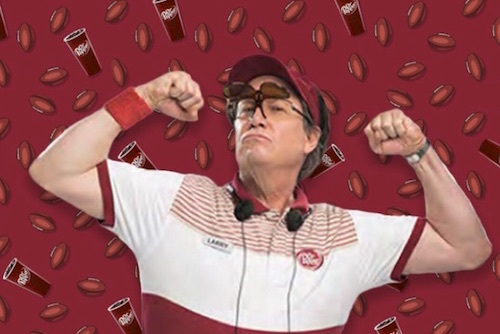 Larry Culpepper is passionate about two things: Dr Pepper and college football. We've brought Larry and his passions to life across digital channels for a few seasons. Each year we're tasked with creating funny, relevant content for multiple platforms. More than a hashtag, #LarryNation was how we rallied our fans and spread the craving for Dr Pepper during college football season. Work included digital video, social content and a Snap lens. In 2017, Larry signed fans to #LarryNation. Here’s a social cut from Dr Pepper signing day. We created costumes, sold them online, and had Larry promote them across social. We sold out of Larry costumes well before Halloween, and found fans across the country brushing up on their best, "Ice-cold Dr Pepper heeere!" call. Response GIFS for us to use on our social channels. Ridiculous GIFS for the interwebs to find on GIPHY.